Port Hardy is a district municipality in British Columbia, Canada located on the northeastern end of Vancouver Island. 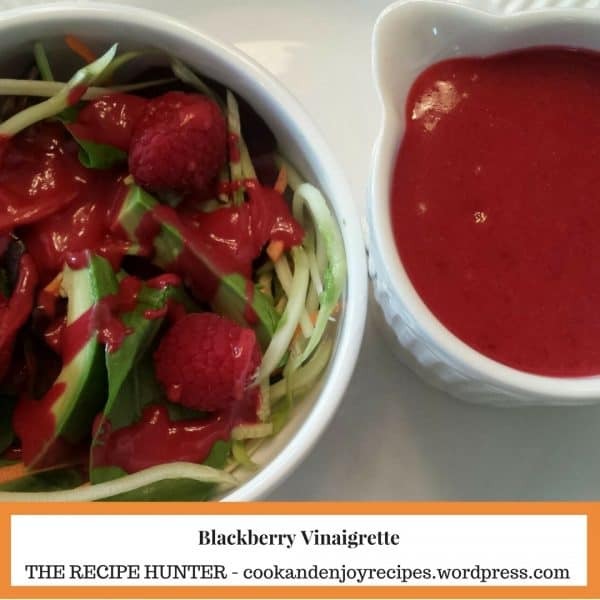 About 2 years ago, we visited Port Hardy and enjoyed dinner in a restaurant and then I ended up asking the Chef for this fabulous recipe, which he generously wrote down and also gave me an extra sample of the vinaigrette to take home (How lucky can one get). This is a base recipe. Play with the flavors till you have the taste you prefer. Combine in a pot and cook well (±5-7 minutes) and let it cool down. (I kept mine lukewarm and then poured it into the NutriBullet – the large cup) and processed until liquefied. Apparently, you have to pass it through a fine mesh strainer with a spatula, till NO seeds left. (I did not strain it as the NutriBullet made it so fine, no need to strain). Add ½ cup lemon juice and zest of 1 lemon direct into the blender cup and 1 Tablespoon of Dijon mustard (for emulsifying, not flavor).